sensation and essence of your inner self-healed by the amazing beautiful moonlight. to your true self, your inner child, your animal spirit. Those hidden secrets transmitted from generations are going to be revealed to you. You will know how to proceed, act, and react to any problems and affront the momentum with ease! Many blessings await who honor the Wolf Spirit. You are one now, to know what the wolf is made off! Describe your areas of expertise.Psychic, Life Coach, Spiritual Guide, Medium, Claroivanyce, Clairsentience, Dream Analysis, Aura Reading, Palm Reading, Angel Reading, Past life Readings. How long have you been aware of your abilities, and how have you developed them?I am aware of my abilies since my childhood, when I talked and receive messages from my "imaginary friend" , now I know he was my spiritual Guide. Many years or readings with family, friends and clients. Making people happy and feeling good about themselves. Making life worth it! Life is beautiful! Please join me in this amazing discovery of the inner soul with the light of God! Name some specific experiences where you've used your abilities.I have helped thousands of people like you to find their essence of their soul and spiritual meaning. I am guided by The Spirit, the Universal wonders, and a soul-deep connection with what it's all: God I can read and understand your feelings, I can connect with you, with your emotions and see the options in the material and spiritual world for you. What can a caller expect from a consultation with you?My spiritual an honest advise will guide you throughout your life in a divine message or love from nature and healing earth. 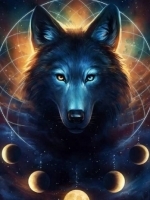 I will guide you to recognize your spirit animal, ancestors, past lives, and relieve past hurts, and present obstacles, and start a new life when you can fulfill it with peace, harmony, love, abundance, and health. Asked me questions that I really didn't think I should be asked. Seemed like I was getting advice instead of insight. I'm not asking you to tell me I need a job I love to be successful. I asked about what's going to happen at my job. Generic, no real information. I would not recommend.